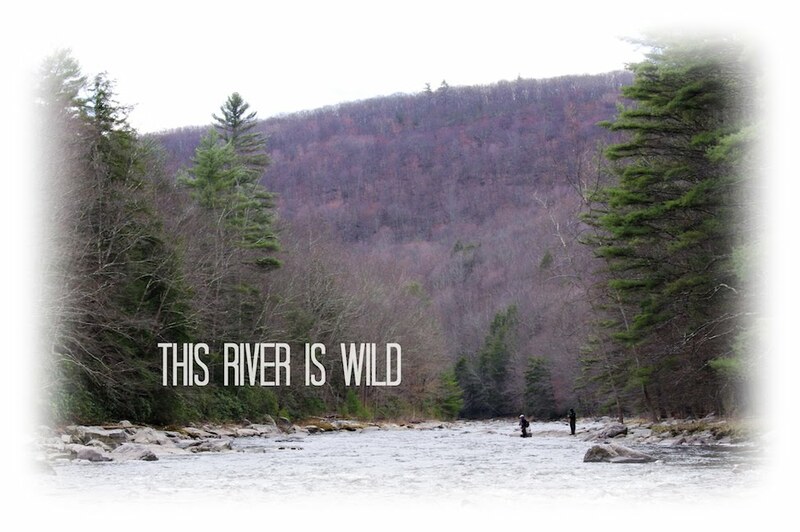 This River is Wild: Overlooked Water. I awoke with a stiff paw to the face and before I could react I was trapped between two heavy forelegs. Pinned in the corner of the bed, I could do little to stop a hundred pounds of black lab from lapping my face with her oversized sandpaper tongue. Any normal person would scream, but for a dog lover I gave little or no thought to where that tongue was in the past few hours. I take it before saying, "I love you too," and I pushed her off. I glanced at the cell phone and realized my six o'clock alarm failed to go off. The dogs probably took care of that in the middle of the night. I think about how I used to be stream side well before that and now I am setting my alarm for six. Must be old age. I rise and gear up. The dogs realized that I was leaving them for a better part of the day and they retreated back to the bed in defeat. 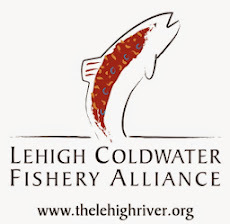 I am heading to familiar territory for any fly fisherman from the Lehigh Valley. The fly fishing only zone of the Little Lehigh. Special Regulations Remain Open in March. I honed much of what I taught my self about fly fishing at the Little Lehigh. I frequented the stream in my early teenage years armed with a one of my first rods, a 762-2 St. Croix Legend Ultra. 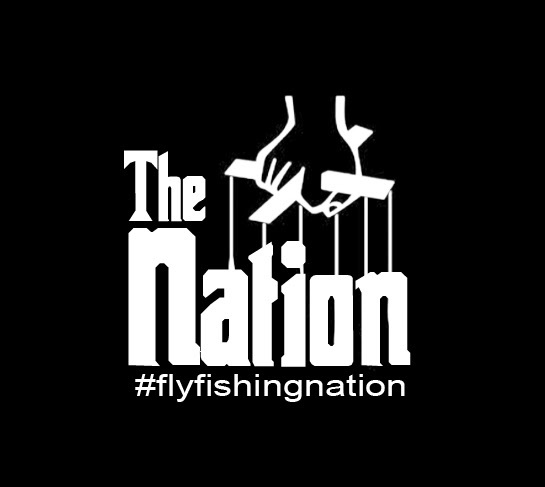 Imagine learning to fly fish with a two weight. It was like casting air and every ten inch trout fought like a tank. I would describe the bend in the rod as a SUPER flex. Perfect for protecting 7,8, and 9x tippet and size 20-28 flies sight fishing to 20 inch wild and stocked trout. Or not. I later graduated to more serious equipment and as that happened I stopped frequenting the Little Lehigh. I learned a lot from the stream but you can only catch so many carbon copy hatchery rainbows before it gets old. I now reserve the stream for a few brief trips each year. This past weekend was one of those trips. Nothing Like Two Stiff Jabs to the Face for a Wake Up Call. Saturday was abnormally warm, or perfectly normal depending on how you look at it. Last week we were in the death clutch of winter after experiencing record snow falls. All of a sudden it is fifty degrees and people are outside in droves. It is no different at the Little Lehigh. The place is packed with runners, horse riders, tourists, dog walkers, and every fly fisherman in a hundred mile radius. Fisherman are eating lunch in the parking lot in the beds of their trucks. I park and rig up. I grab a few spools of tippet and stuff them in my pockets. I grab a Cliff Days Worth fly box filled with I don't know what. All you really need. I cross the road and I am stream side. Red Tailed Hawk That Resides in the Back Yard. If I Only Had More Zoom. For some odd reason, no one ever fishes the first hundred or so yards of one of the most heavily fished streams in Pennsylvania. It is if they are saying nothing exists above the hatchery outlet. I take full advantage of the only available real estate. I find my self hunching under heavy thorn bushes before standing on a thin stretch of bank literally with the thorns in my back. No wading on the Little Lehigh. I've got a heavy riffle for ten yards in front followed by five yards of slack seam and another heavy riffle. The fish are out on the edge of the second riffle. Always are. I have no back cast room just a mountain of thorns and overhanging branches. I feed line out of the tip of the rod and let the stream carry it out of the guides before arching into a single hand C-Spey and sending the double nymph rig out in the middle of the stream. Several roll casts follow stacking line in the slow seam before a raise of the rod tip allows a dead drift along the far seem. Bang. Twenty inch hatchery hog. I lip the pig like some bass fisherman mainly because my small hands can't hold it and I snap a bad picture. On the next few casts I am treated to what makes the Little Lehigh so special. I repeat the same scenario above except this time my indicator literally takes off and I tie into a beautiful brown. It arches in and out of the flows testing the tippet strength and my balance as I walk a high beam between cold water and a noose of thick thorns. I bring it in close and let out a whimper. It is one of those football males of my dreams complete with wings as fins and a hook jaw. The image signals that this is either one of those famous wild browns that the limestoner is known for or an escapee that grew old and pretty living out in his secluded riffle. I tail this one and admire the brown in the water at my feet for some pics before letting it meander out into the current and back to his humble abode. A Spirited Male Brown From Overlooked Water. I should stop there and pack it in, but I continue my way downstream into the throng of fellow addicts. Several more bows come to hand that would be trophies on every other stream except they are the norm on the Little Lehigh. I lose my rig in a willow tree and after about a hour I retreat back to the truck and grab the camera. I spend the next two hours taking pictures, trying to capture a nice brown in mid rise sipping a BWO. The task is insanely difficult and I am humbled by the images photographers are able to achieve. The new hobby is beginning to take root. I end up taking pictures longer than I fished. A first. Inspecting a BWO. I Blew This Chance. Ha, my bad bud, I'll consult before posting next time. I was there on Sunday. Great weather this weekend. Sweet shots. You're gonna laugh when you see mine from the weekend. Some of them look pretty similar, lol. I was there Saturday as well but did not fare as well - beautiful brown! Chris - glad to see you are getting out!